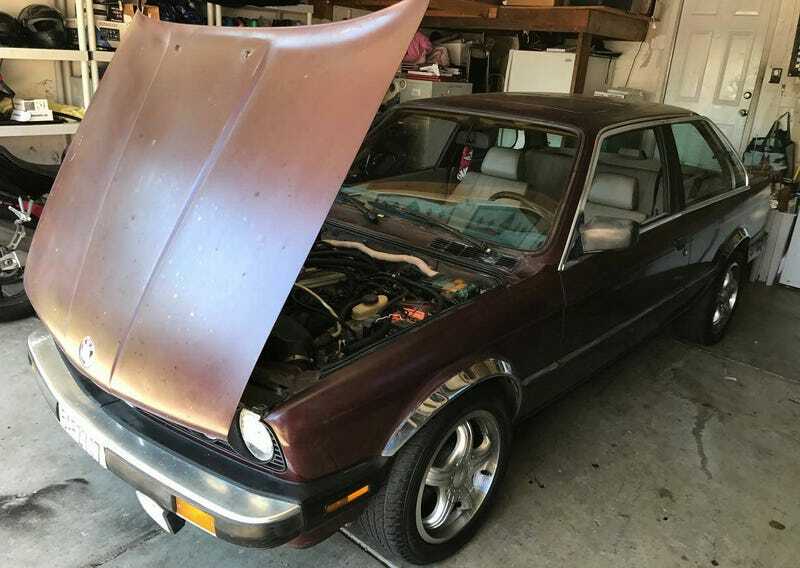 For $3,200, Could This 1987 BMW 325i Be Everything That Is Good? If you like E30s and LT1s the way a fat kid loves pie, then you’ll jones on today’s Nice Price or Crack Pipe Bimmer 325i. We’ll still have to see just how big a slice its price will take from your wallet. Does it concern you that in Britain’s Brexit vote and the last U.S. presidential election the pollsters’ predictions seemed so far off the mark when it came to the eventual results? I mean, what are we all supposed to believe in this radical new world? Thankfully, the results of the vote on yesterday’s 2013 Volvo C30 R-Design Polestar are in and they are unequivocal. Perhaps the reason for that was that the pole was on the other foot. Those results showed the C30’s $17K price being held in a favorable light by fully 64 percent of you. Oh, and there’ll be no recount. Sometimes you shouldn’t go with what others are telling you to do. Sometimes you should just go with your gut instinct. One of those times is when your gut tells you to make a mad mix of two of your most favoritest things. No, its not beer and pizza although beer-stuffed crust pizza does sound amazing even if logistically unworkable. What I’m talking about is the melding of BMW E30 and Chevy Camaro V8 that haunts our fantasies and bedevils our dreams. Here we have a 1987 BMW 325i that conveniently has already had all that work done for you. Not just that but it’s seeming almost ready to roll. Let’s have a look. The car is a big bumper/small tail light two-door. It’s rocking some chrome wheel arch caps for some added bling and aftermarket alloys that are a bit of a letdown in comparison to what could have been chosen from the selection of factory fare. The body looks straight but the paint has what we today we call a patina but for which in the old days we used to call MAACO. At least the underlying steel looks straight and intact. And if you’re a UCLA Bruins fan, it’s already got your license plate frame in place. The engine is claimed to be out of a 1997 Camaro SS which would make it a 5.7-litre LT1. That should be good for about 275 horsepower, or about 100 more than offered up by the stock six that was previously in residence. The Chevy mill is paired with an automatic transmission, which one assumes also to have had Camaro origins. That LT1 is a good 100 pounds more than the M20 it replaced, meaning one should ask whether the springs been updated. How about the pumpkin out back with all those extra ponies? Whatever, the install isn’t all that bad looking. It is a bit of a mess with hoses and loom all over the place, but drop the hood and who’ll know? The seller notes in his ALL CAPS ad that the car “runs and drives perfectly” and “…is very fast.” It’s also in need of what the ad says is some minor work. What that entails goes undisclosed, as does the overall mileage or just what condition the interior is in, as there are no photos of its insides. We do get a shot of one of this car’s most important features and that’s its BAR (Bureau of Automotive Repairs) sticker. That’s a Wonka golden ticket here in California and says your modded car gets a nod of approval for driving on our wonderful highways and byways. That might not be a big deal for non-Californians, but it means going to Dodger games, the Beach and In-N-Out for us so it’s kind of a big shizzle here. The seller even says that the car just passed its smog inspection, a necessary part of title transfer, and that title by the way is claimed to be without issue. If you want A/C you’ll need to look elsewhere and the same if you’re a manual transmission purist. Despite those shortcomings, and the condition of the clear coat, AND the somewhat ominous admission that it needs minor work, there’s a lot to like here. Let’s now find out if its price is one of them. The asking is a modest $3,200. That gets you a car that, while not completely sorted does seem to be a pretty decent foundation, plus it’s got that BAR get out of jail free card in its favor. 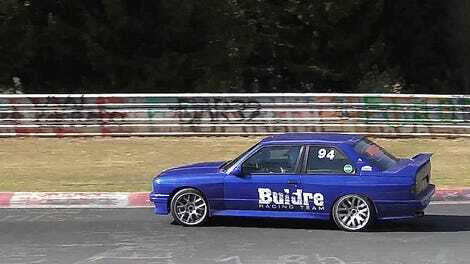 What’s your take on this V8-enhanced E30? Does that $3,200 seem like a low enough ledge from which to leap? Or, is that just too much even if its two things we all like? H/T to rdcyclist for the hookup!